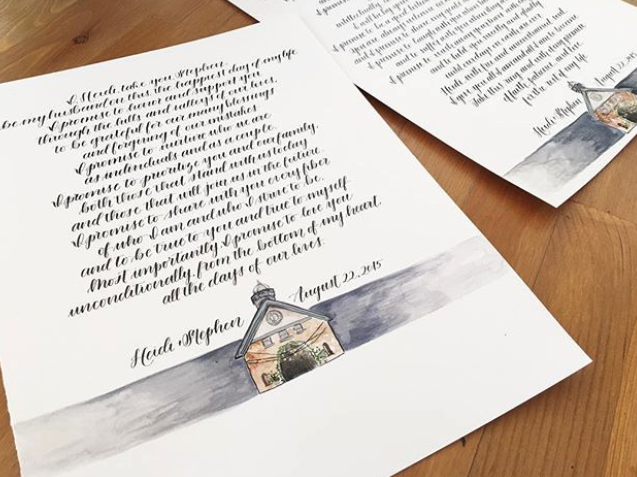 We work with hundreds of couples each year to create beautiful, custom artwork out of their vows to each other. And every time we do, we feel so honored to be a small part of something so incredible. 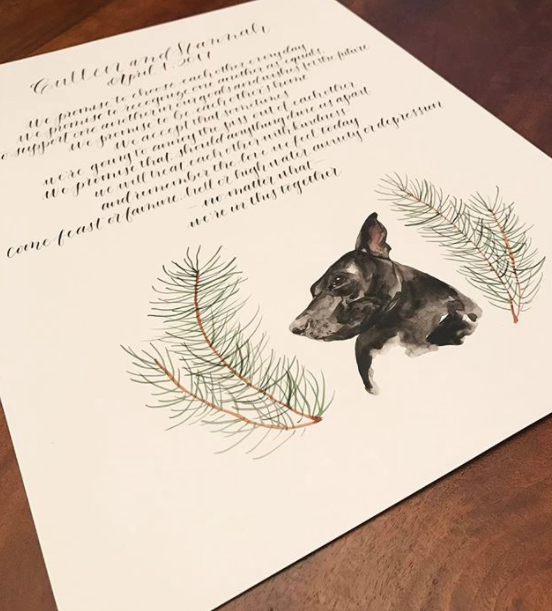 your words are hand written in a graceful-but-readable pointed pen calligraphy. 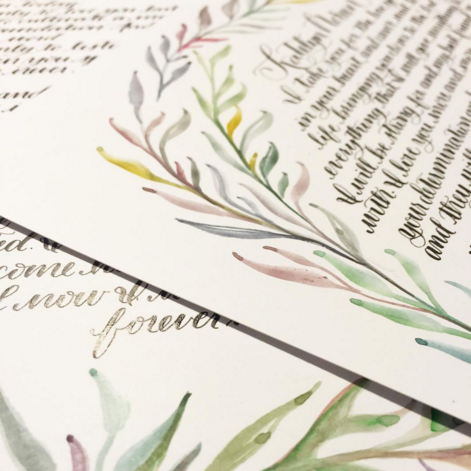 Your additional design details are drawn and painted with love and care. We work swiftly, and package everything flat to ensure that your work isn't curled or damaged when it arrives. 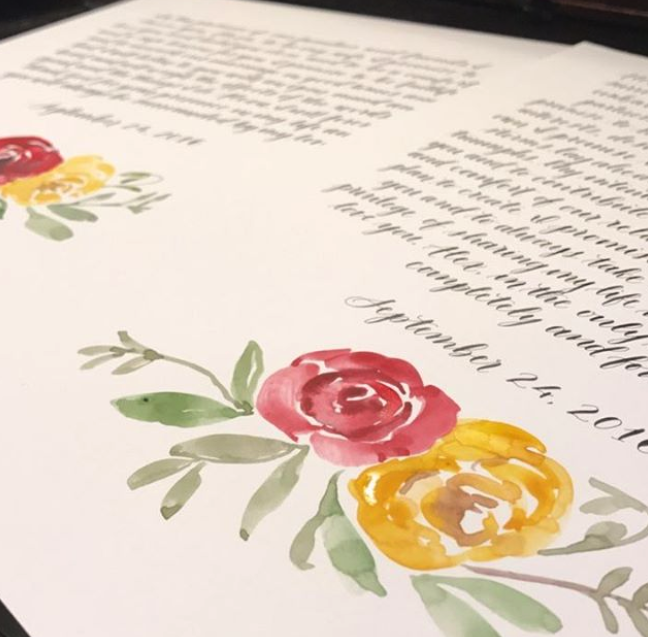 - Most vows are created at 11x14", but smaller and larger sizes are available. - We use a top quality, black, sumi ink unless otherwise instructed. - White, Gold, Silver, Copper, and custom-mixed gouache colors are also available.